For more information regarding state approved private special education programs, feel free to contact Amy Polt or ISBE. Many districts are now turning to private day programs to avoid the costs associated with providing intensive therapeutic services to only just one or two students needing this level of support. 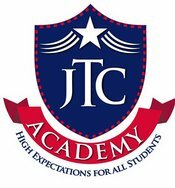 JTC Academy can be another option for your district! Step 1: Referrals for admission to JTC Academy come from school districts in Missouri and Illinois. The required information to be sent from these school districts include: IEPs, health information including all hospitalizations, psychiatric report, psychological report, all behavior records for the past 2-3 years, grades, and transcripts. Contact your home school district for more information. Step 2: Director or Assistant Director will contact school district for any additional information and/or set up a phone interview, tour, and intake (if accepted). Step 3: Intake meeting will be scheduled with JTC Academy and the sending school district staff members. Participants in this intake meeting shall include the Executive Director or Assistant Director, student, parent/guardian and JTC Academy assigned therapist and teacher. Step 4: During the intake meeting, parent or guardian and the student will sign all documents indicating that they understand JTC Academy's restraint policies and procedures, behavior systems and phases, dress code, search procedures and all other school policies and procedures. Parent also understands and agrees that this is a team effort and that in order for the student to be successful at the Academy, parental support of both the mental health planning and academic programming set forth by the clinical and educational team is imperative for student success. JTC Academy believes that without parental support and without utilizing a team-based approach, student success is limited. Step 5: Home district sets up transportation. · Review services page and amend as needed.